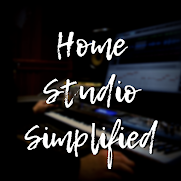 Home Studio Simplified: Are my 16-bit recordings worthless? Are my 16-bit recordings worthless? This issue has been the debate of audiophiles everywhere. Most everyone agrees that 24-bit is the best to record in and is a great option. It also goes without saying that when Mastering, if at all possible the wave files need to be in 24-bit. But the question is, are the 16-bit files you have now worthless? If that is all you have, is it pointless to keep recording until you can record in 24-bit? In short, no! Let’s think about this for a minute. Most of the classics that blazed the path of radio were all recorded on 16-bit systems, Mastered on those same systems, and you as a listener just sung along and thought nothing more about it. By all means I am not saying that it doesn’t matter what bit depth you are recording in. Obviously, you would not record in 8-bit! But what I am saying is that 16-bit was for a long time widely used by the pros and nobody was complaining (from a listeners point of view) about cruddy music. So if all you have is the capability to record in 16-bit, you will be ok. Don’t be hindered from making music because it’s not the “right” bit depth.